Today the 14th episode of the topic Meet the Collector. Meet the Collector is about passionate people with a focus on collecting. With this topic I will give you an insight in their special collection. Collectors will tell their story behind their treasures, show their most rare and unique items and tell you all about the collecting thrill. I’m very proud to show you the 14th collector: Will Varnam in the topic: Meet the Collector. Will Varnam is a military and vintage collector. His collection contains some very rare and unique pieces. Thanks for sharing your collection and story Will. Enjoy. Living in village & country: Birmingham, England. Number of Instagram followers: 8.900 followers. My favourite brand is Nigel Cabourn. I love how Nigel mixes vintage detailing and style with a contemporary fit and aesthetic. I don’t wear vintage garments often but l Iove the details and history, so Cabourn is a perfect fit for me. It also channels the best of British and Japanese styling, which really appeals to me visually. The staff at Nigel Cabourn are always helpful, knowledgeable and down to earth. I had the pleasure of meeting Nigel at an Army Gym event recently and he’s really grounded, energetic and youthful. 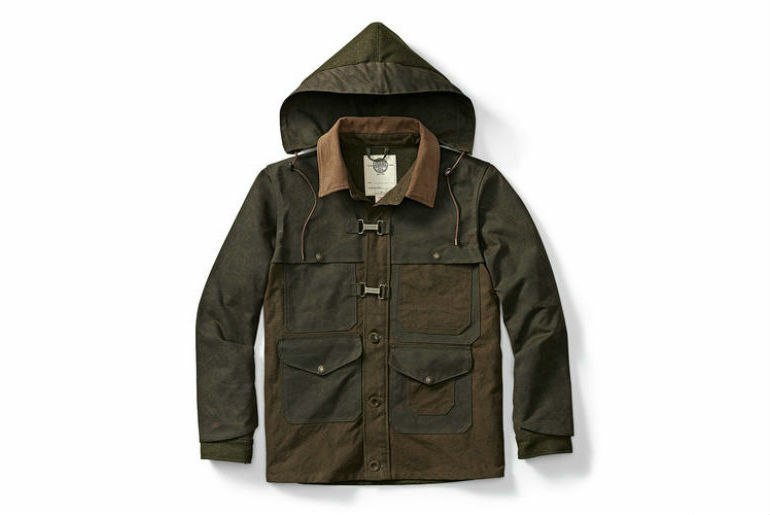 My favourite item is a Filson x Nigel Cabourn collaboration work cape jacket from F/W14 collection. I was lucky and managed to buy one on eBay earlier this year. Filson x Nigel Cabourn collaboration work cape jacket from F/W14 collection. Pic by End Clothing. What’s your favorite denim brand? My favourite denim brand in Levi’s Vintage Clothing. I always wore Levi’s growing up and felt a connection to the brand, as they were steeped in American history and the 501 was the classic blue jean…I would always look for second hand pairs of 501’s in vintage shops or thrift stores as a kid! Because of this, when I got more interested in vintage clothing and high quality denim, LVC was the perfect ‘stepping stone’ into the world of selvedge. Again, the history of LVC appealed to me and the style fits me really well. My favourite LVC jean is the 1954 501ZXX. Levi’s Vintage Clothing jeans with Converse Chuck Tailors. What’s your favorite footwear brand? My Red Wing Beckman boots are my favourite and will stay with me for many years! I’ve been collecting WWII US Marine Corps items for approximately 16 years. I initially started collecting any American items from WWII – Vietnam, but I refined my focus over the years. I also collect some WWII US Navy items as well. How many items are there in your collection? I don’t think I have ever counted! My collection includes uniforms, headgear, equipment, insignia and personal items. I would have a hard time putting a number on it! Camouflage items from Will Varnam’s collection. How or why did you become a collector? A friend of mine also had a grandfather who owned a WWII era Willys Jeep, used by American soldiers during WWII. Riding around in that with a camouflage jacket on was always a thrill! That really sewed the seeds of collecting items and immersing myself in military history, which I went on to study at university. What is the best thrill about collecting? I love the ‘hunt’ or looking for an item. Many times I don’t find anything, but when I do, all the hard work pays off! Another great thing about collecting is being involved in a community of like-minded people. I’ve made some fantastic connections, met some great people and travelled to some wonderful places as a result of collecting WWII items. I’m very grateful that I’m able to do this. I also have items in my collection that are identified to individual(s) who fought during WWII, which is a huge honour. I research the items in my collection and take pride in being their caretaker for the time being. Lastly, I also like to buy, sell and trade items and it’s always fun when you can pass an item on to someone who appreciates it or trade for an item which leaves you both happy! Will Varnam with his daily outfits shared on Instagram. Follow him at: @rugged_style. What is your favorite item and why? This is a difficult question as I have a number of ‘favourite’ pieces! It would have to be the WWII USMC P41 ‘dungarees’ which belonged to a US Navy ‘Corpsman’ (medic) who was attached to the USMC. The original owner fought on Iwo Jima with the 5th Marine Division and I also have his field gear in my collection. The items themselves are not ‘rare’ or hard to find, but the history which accompanies them is hugely significant. A Corpsman often faced narrow odds when treating wounded Marines under enemy fire and shelling. They were hugely brave and highly respected by all who fought with them. The dungarees are stenciled with his name, rank and unit identification. What’s the best bargain in your collection? I’ve bought a number of items which were cheaper than they should have been (the occasional reward for constantly looking for vintage! ), but one which stands out is a US Navy ‘foul weather’ deck smock. The hood has been removed, it has been impregnated with an ‘anti-gas’ chemical and has a stencil on the back from the original owner. The smock belonged to a US Navy sailor who operated a ‘Motor Torpedo Boat’ during D-Day operations in the English Channel. I’m not going to say how much I bought it for, but it was definitely a bargain! US Navy ‘foul weather’ deck smock. Which item was the hardest to get and/or the most valuable one? One of the hardest pieces to find (due to rarity and value…) was a full set of early WWII USMC camouflage. The P1942 camouflage uniform included a jacket, trousers and matching helmet cover. It was used throughout WWII and due to the climate of the Pacific theatre, heavy usage and the passing of time, they are difficult to find. They are much less common than the later P1944 USMC camouflage. I bought a set from an old time USMC collector who I now call a friend. Which item would you like to add to your collection? Some WWII US Army or Navy denim pieces wouldn’t hurt either! I get my inspiration from everywhere…This includes my collection, Instagram, YouTube, blogs and websites, Japanese fashion magazines (Clutch, Lightning, etc), history books, art, coffee, architecture, travel, antiques, interior design, menswear and the people who I spend time with. “No sympathy for the devil; keep that in mind. Buy the ticket, take the ride…and if it occasionally gets a little heavier than what you had in mind, well… maybe chalk it off to forced conscious expansion: Tune in, freak out, get beaten.” by Hunter S. Thompson.